Note: Get the full lineup of FCBD Mini-Con 2015 guests here. Illustrator and designer, Hainanu "Nooligan" Saulque, describes himself as "an old soul in a young body." Drawing equal inspiration from the cartoons he watched as a child, to classic films shot decades before his time, from the golden age of comics, to classic newspaper strips, his art, which he describes as "contemporary with a flare of nostalgia," reflects a creator who completely immerses himself in his creative passions. Join us for Free Comic Book Day Mini-Con on Saturday, May 2, 2015 to meet Nu. His artistic talent is featured in the books Union St. Choir and Slingshots & Heartbreak and various limited edition originals and prints available for purchase at www.nooligan.com. Born and raised in California and now settled in Sacramento, Hai-Na-Nu “Nooligan” Saulque has dedicated his life to his craft. 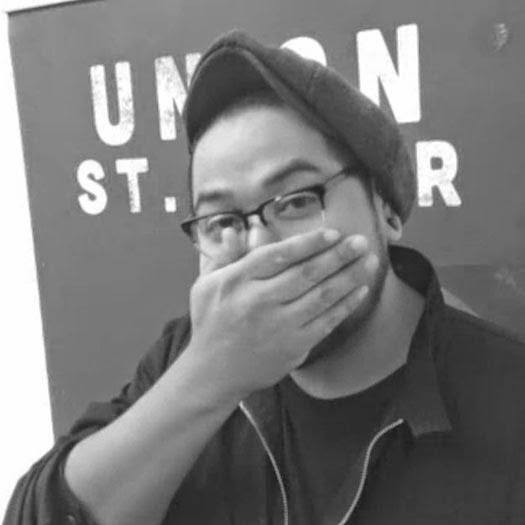 After attending art school in San Francisco, he gravitated towards comics and his design skills have been invaluable. He broke into comics with ECV Press as a penciler and quickly expanded his art as a graphic designer, penciler, inker and writer. His first Kickstarter for the art book “Rumluck” recently finished and gave his fans the quality work they were clamoring for. 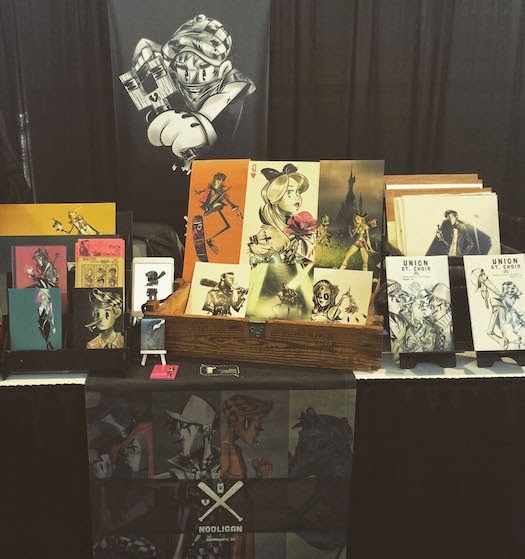 You can find him at cons up and down the west coast with a variety of prints, posters, bookmarks, buttons and other fun items that showcase his love for classic cartoons and Americana. We're so pleased to have such a creative, talented and down-to-earth artist with us. We know you'll enjoy meeting him and experiencing his work firsthand on May 2. We weren't able to interview Nu for the Mini-Con, however you can learn a little about him from this video.